OK – here’s the lowdown. Google is about to change in a big way. For the past 20 odd years, Google has been showing search rankings based on the internet that has been around for over 25 years. The thing is, in the past 4 years, mobile devices usage has skyrocketed and with that, more and more people are now using mobile devices to search and use the internet. With this shift, there has been a need for Google to shift the way it ranks your website. If you already have a mobile-optimized website, you should see little notice. 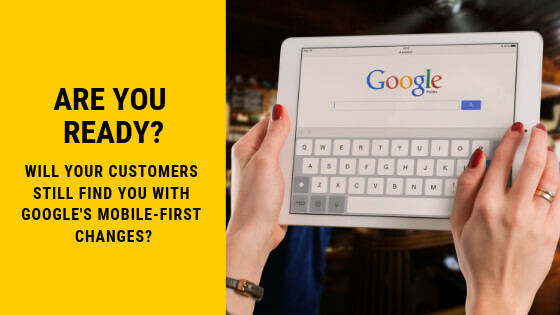 However, if you are one of the millions who has been dragging their feet or is just oblivious, you are about to experience a huge shift in your search rankings on mobile devices. is Your Website Ready for the Change? In April 2015 Google released a significant new search ranking algorithm designed to boost mobile-friendly pages. It was so notable that the online search and marketing industry dubbed it by a variety of names, including ‘mobilegeddon’ and ‘mobilepocalypse’. Google explained the change by saying it wanted its search results to cater to the needs of the majority of its users, who are mainly mobile searchers. What this means is that instead of Google crawling the web from a desktop browser point of view, it has changed to prioritising online pages and documents that support a mobile browser version of a website. Responsive design (the design changes depending on the size of the screen it’s being viewed on). Easy to use on a mobile device. Good interstitials (advertising pages that pop up into the normal flow of content). All of this sounds pretty technical. So what impact exactly will the rollout of mobile-first website indexing mean for you? As per the quote from Gary Illyes above, there is no need to panic. According to Search Engine Roundtable executive editor, Barry Schwartz, when Google starts switching to mobile-first indexing for websites, they don’t want the search results to change too much. “They want the quality of the search results to pretty much to be at the same level or a bit better. If they do not see a ‘quality neutral’ data set, they will not launch,” he says. That said, search engine optimization and mobile website builds do require expertise from someone who knows the field and can advise you and guide your mobile strategy. 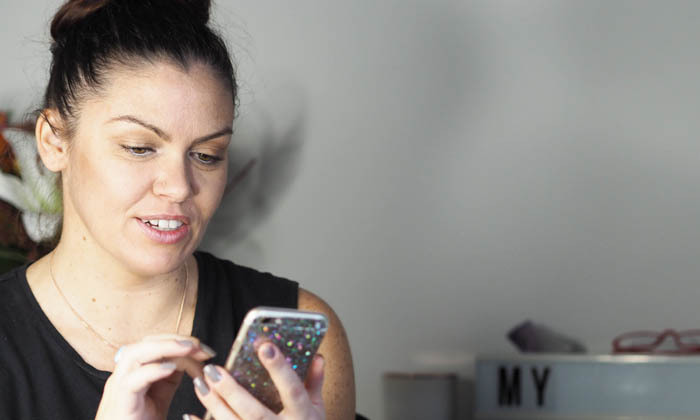 There’s a relatively high degree of specialist knowledge required and website design and marketing professionals spend valuable time listening to Google and understanding how best to design and build sites that will perform under their new mobile-first regime. Search Engine Journal says that while creating a responsive website involves additional investment, having one URL that adapts to all devices is best for your users, search engines and those who maintain your site. SEJ says it’s only a matter of time before it becomes a flag against your site to not have a responsive site and it recommends getting this on your website roadmap as soon as possible. When Google switches over to mobile-first index, it will be looking at your mobile site as the primary source of content. If you don’t have a responsive site, it’s important to make sure that your primary content exists on your mobile site, or you risk a negative impact, regardless of Google’s assurances. The bottom line is they have put out guidelines to support their change, which we will all be wise to follow. SEO marketing website moz.com suggests a number of technical checks to run, including evaluating your website content. This involves making sure your mobile version has all the high-quality, valuable content that exists on your desktop site, including text, videos, and images. If you don’t have a mobile-friendly site your risks of experiencing poor search engine rankings increase dramatically. SEJ says “not only will you more than likely feel a negative impact when this switch occurs, but you have also been actively ignoring over 55 percent of web users. “Don’t panic about Google’s mobile-first algorithm update just yet, you still have time to prep. But you do need to make some big, bold decisions. Wait too long, and you can get caught in the crossfire. Get an early jump, however, and you can shoot out in front of the competition. “You need to start by making sure that you’re properly mobile-optimized, as opposed to just mobile-friendly. This means having a responsive layout – not just a shrunken mobile site.